What if both parents want custody of their children after a divorce? Any time a couple with children decides to get a divorce, working out custody arrangements is usually one of the most important issues that needs to be addressed. In the state of Washington, this is done via the process of creating a parenting plan. 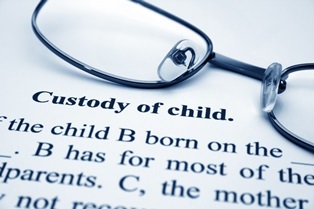 But sometimes, both parents want custody, so it’s important to understand how the custody process works, what the court can do, and how to get legal help. When you think about your parenting plan, it’s important to include specific details, including weekends, holidays, and other special dates. It can be helpful to cite how birthdays will be observed and how to handle child care arrangements during the school year or when school is out. You should also include who will be responsible for transportation to and from exchanges or visitations. The court will review your plan and make a determination as a part of the divorce proceedings. Ideally, you and your partner will sit down and come up with a parenting plan that works for both of you and present it to the court. If you can create a plan together that you both agree on, it’s likely that the court will grant consent for your arrangements. However, there are times when you may not be able to see eye-to-eye with your partner and cannot come up with a parenting plan together—such as in a high-conflict divorce. In some situations, mediation may be able to help. While mediation can take a little bit of time, it often takes less time and costs less than a trial. It can help you and the children avoid some of the emotional stress of a protracted courtroom battle, too. The wishes of the child may also become a factor, if the child is old enough to be able to share such wishes. Once a determination is made about a plan, or if the court decides on a plan for you, it is legally binding once signed off by a judge. Violation of a parenting plan, once agreed to by the court, can result in fines or even jail time for the offending parent. Few divorces are easy, and parenting plans can become complex and difficult. You don’t have to create one on your own, though. Your divorce attorney can help you craft a plan that works best for you and your family, as well as help you with negotiations and keep you informed of your legal rights during the divorce process. The Law Offices of Molly B. Kenny offers family law services to a diverse range of clients throughout Washington, King County, and the Seattle area. To arrange a private consultation in our Bellevue office, please call us, or use our contact form to send us an email.